Ah, summer break. A time to relax by the pool or swim in the ocean and soak up all of the sunshine that you couldn’t get during the short and cold winter days. And, summer is also a perfect time to head off on a great vacation. But where should you go? Consider the five destinations below to plan a trip that you will never forget. You might not think of Canada as a hot weather destination because it is known for its ski resorts, cold winters, and winter sports, but it can be a perfect place for your summer break. In fact, the same places where you can go skiing in the winter also offer a host of fun activities during the summer. Whistler is a fantastic example. There, you can take a gondola tour way up in the air between two mountain peaks, or you can go on eco tours and see native wildlife in their natural habitats, and you can also access countless trails for hiking and biking. 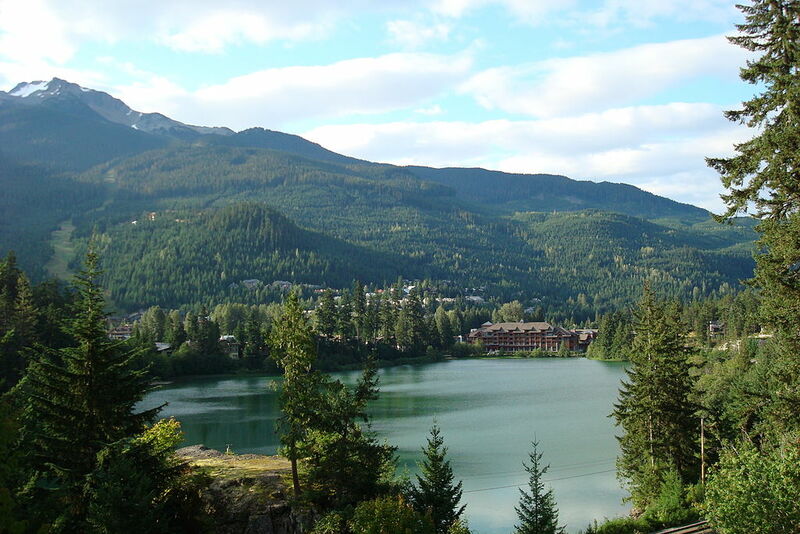 Resorts like Whistler Premier will gladly welcome you even during the green and warm summer season. The Hawaiian Islands are a really beautiful and unique place, and they are one of the most popular summer vacation destinations. From black sand beaches, to incredible volcanoes and sea cliffs, the islands are home to a varied landscape and abundant plant and animal life. Plus, there are a lot of blissful resorts where you can stay and relax as you indulge in delicious local cuisine and spend your days lounging in the sun working on your tan. Heading over to Paris, France is yet another fantastic idea if you are planning an unforgettable summer break. Known as the City of Lights, millions of people visit this unique place year round, but summer is a great time to book your trip because you will be able to comfortably walk through the streets, have a coffee or a meal outside, and visit all of the historic places throughout the city. 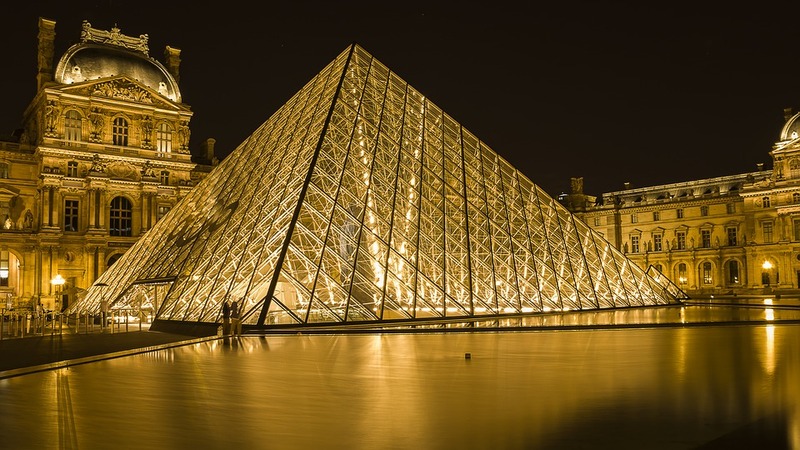 From churches that are hundreds of years old, to museums that are home to breathtaking art, Paris has something for everyone. New York City can be rough during the winter when the weather is cold and there is dirty snow on the ground along the sidewalks, but the summer is the perfect time to get out there and see what makes “the city that never sleeps” so special. Check out a Broadway show, have dinner at one of the world’s most famous restaurants, head to a baseball game, and shop at the designer stores throughout this exciting city. Searching for an idyllic place to escape to for your summer vacation? Then look no further than Florence, Italy, where you will be steeped in Italian culture. Friendly locals and delicious meals await, and you can take in the lush and quiet beauty of the Tuscan hills that have inspired artists throughout the centuries. So there you have it: these are five of the best vacation destinations for your summer break. Head out there and take it all in. The birthplace of famous legends like Plato, Solon, Socrates and Pericles, Athens has always remained a place perfect for that perpetual quest of the people who love to feel the grandeur of Classical Greece. The city still preserves the glory of its great past in the historical monuments located in its heart. The “Sacred Rock,” of Athens, it is one of the most significant archeological site representing the city of Greece itself. 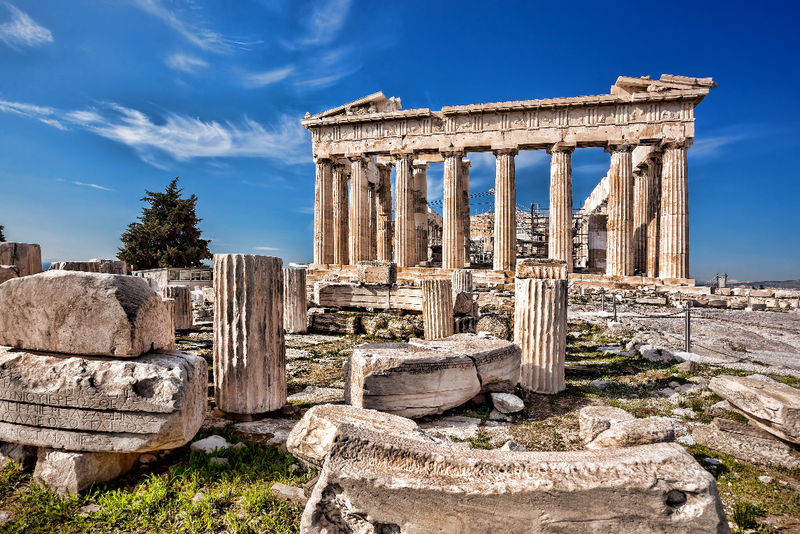 Situated on the Acropolis hill, this ancient citadel was developed in the 5th century BCE and contains some of the most important historic building and structures such as the Parthenon, the Erechtheion, the Temple of Athena Nike, and the Propylaia. A stone theater, known as The Odeon of Herodes Atticus is also situated on the southwest slopes of the Acropolis. Each monument has its own story to tell, and it’s your chance now to choose which one fascinates you the most. Located approximately 10 kilometers from Athens, Daphni Monastery was built by the Byzantines in the 11th Century AD. Designated as the UNESCO World Heritage Site, this 1,000-year-old old building stands rose from the dilapidated temple dedicated to Apollo giving it a classical touch. Since its existence, the monastery has been destroyed many times by both men and nature. However, a restoration drive has helped it stay alive on this golden land. As the monastery opens for a limited time, we advise you to mark it in a special place when you make your travel plan while you are still thinking to book Emirates flight tickets online in India. Another marvel of the Greek architecture, The Temple of Olympian Zeus stands under the azure horizon symbolizing the grandeur of the past of Athens. Though its foundation stone of the temple was laid by tyrant Pisistratus, it was finally completed by Emperor Hadrian in 131 AD. One of the major highlights is the regularly spaced Corinthian columns which are capped by highly decorative Corinthian capitals carved from two massive blocks of marble. Famous as the largest temple in Greece during the Roman period the temple, it once had 104 colossal columns, and we know that you can hardly wait to behold their magnificence. If you want to catch a sight of an excellent example an ancient Greek agora, then this is your perfect gateway. Holding a significant place in the ancient Athens, this was the marketplace and civic center where most of the social, political, commercial and cultural events took place and hence gives you a wonderful opportunity to examine those times. The famous monuments like the Temple of Hephaestus, Altar of the Twelve Gods, Altar of Zeus Agoraios, Strategeion and Temple of Aphrodite Urania are also a part of the Ancient Agora. Walk near the foothills of the Acropolis and enjoy the splendor of Athens’ oldest district, Plaka. With its delightful neoclassical architecture and labyrinthine streets, this place offers you a peek into the lifestyle of traditional times. Today, it is visited by thousands of travel buffs every year, who have a keen interest in the history of Athens. And if you have decided to go there then don’t forget to visit its famous museums! With this list, we are sure that your quest for the ancient ruins, sacred wonders, and world-famous landmarks of Athens has found its direction. And now that you have the direction then don’t bother yourself about anything, book that flight and take that historical Yatra of your life and have a lifetime experience! Traveling is exciting, but it also requires careful planning. Not taking the proper precautions could leave you in a sticky situation. Take steps to plan your vacation the right way and you’ll have a better time exploring your destination. There are actions to take that’ll increase the amount of fun you have on your trip. It’s not recommended you travel without doing a little research and educating yourself about the area prior to departure. Do what’s in your power before you leave to ensure you have a safe and pleasant trip without any mishaps. See five ways to make your travel adventures more enjoyable. You should always plan ahead before leaving on a big trip. Your goal is to feel prepared and equipped to handle the expedition in front of you without any uncertainties. Research the local areas and get an idea of what you want to do and where you want to eat. Book reservations early, if possible. Look at the weather prediction so you can plan your outings and clothes appropriately. Be smart when you’re traveling. Lock up any expensive items in the safe in your room or don’t even pack them in the first place. Avoid walking alone at night and keep your purse on you at all times. Tourists are targets for crimes, so always be aware of your surroundings. Read safety tips for the specific places you’re traveling before you leave and always report any suspicious activity. Remember the friends and family who are back home thinking about you. Write them a note and let them know how you’re doing and that you miss them. Go online and seek out postcard templates to get you started. Create custom postcards for free by choosing a theme, image and typography. Your friends and family will love that you were thinking about them and the personal touch of the post card. Capture each part of your trip with pictures. Photos are a great way to tell a story about your trip without needing to put it into words. You can never take too many photos of a vacation. Capture a bunch and then go back and delete the ones you don’t want later. This way you’re sure to get a few that you really like in the end. Upload them to an album online or print them out and create a scrapbook when you get home. Walk around the town or city and talk to the locals. Eat their food and experience their culture firsthand. Read up on what activities they like to do and must-see attractions in the area. This is your chance to learn about how other people live and why they’re so proud of their city or country. Have new conversations and experiences to take with you the rest of your life. Traveling to new areas is exciting. Have fun, but be smart about where you go and what you do. These are five ways to make your travel adventures more enjoyable. Going on vacation with your family is always going to be different from traveling alone, with your partner, or with a group of adults. When you take a vacation with little ones in tow, you’ll need to make sure that you find accommodation and activities that are suitable and safe for your children. Along with that, there will also be several things to consider that you may not have thought about, such as the distance from the hotel to the beach or other activity areas, whether there is a play area or children’s pool available, or even whether there’s a children’s menu at the restaurant. We’ve listed some of the main things to look out for when choosing a hotel to stay in with your family. If you were traveling alone or with your partner, then you may have no problem getting from the airport to your hotel by using public transport or simply calling for a taxi once you arrive. However, traveling with children is different – usually, little ones will be tired after a flight or a long train ride, and you’ll want to be able to quickly get them to the hotel to relax once you arrive. Opting for a hotel that offers an airport pickup and drop-off service, such as WhiteBuffaloClub.com, is a great idea, since your taxi will be waiting and ready to take you all straight there once you arrive. If you’re planning to go on vacation for several weeks, then it’s important to make sure that you choose a hotel that accommodates children. Many hotels will have play areas or kids’ clubs where little ones can hang out and have some fun with other young guests. If you are taking a summer vacation, then it’s also ideal to ensure that you choose a hotel that offers a children’s pool; this will be safer for your little ones to play in and will give you more peace of mind. It’s also essential to choose a hotel that has a lifeguard on duty if a pool is one of your requirements. When choosing a hotel, it’s a good idea to find accommodation that has a family-savvy, knowledgeable concierge who’ll be able to give you more information about local family-friendly amenities. For example, you’ll want to have somebody at the front desk who’ll be able to point you in the direction of family-friendly activities in the area, playgrounds, and even drugstores or supermarkets that you might need to visit to pick up the essentials for your little one. Lastly, it’s important to opt for a hotel that offers a range of family-friendly amenities in the rooms. If possible, a refrigerator in your room is a good idea, since this will allow you to keep food items in stock without having to worry about going out to get them. Other amenities that you might need include cribs, microwaves, bottle warming facilities, and high chairs. What do you look for in a family hotel? Let us know in the comments. Going on vacation is supposed to be an exciting experience. You should be looking forward to a balance of catching alone time and participating in activities. Make sure you have a say in what you do on your vacation. Take time to research the options and highlight what you’re most looking forward to on the trip. Get your family together and discuss what everyone’s hoping to do while on vacation. Come up with different ideas from what you’ve done in the past. There’s nothing worse than arriving at your destination and being disappointed with the plans each day. See fun activities to improve your family vacation. A trip to the beach is always a smart decision, especially if it’s hot. Bring a board and teach yourself how to jet surf. It’s probably the most fun activity you’ll ever do. Ride the waves and enjoy the sunshine while you take in the scenery around you. Feel the energy as a motorized surfboard transports you around the water. You’ll love it so much, you won’t want to stop. Find a public park and bring your own food and drinks for a picnic. Head to the local grocery store and purchase the food and supplies you’ll need to put on a good show. It’s the perfect afternoon activity for visiting and relaxing. Enjoy lunch and then play lawn games nearby. It may even be the right time for you to take a nap. You’ll save money on food and have time for a peaceful rest in the park. Try new restaurants while you’re on vacation. Now’s the time to indulge in the local cuisine and surprise your pallet with new flavors. Don’t be lazy, get out and try local foods. It’s your chance to explore and participate in an adventurous activity with your family. Use each night to test out a different place and have fun ranking and rating your meals. Vacation is the time to explore. Go sightseeing or register for a group tour. There are local attractions that you won’t want to pass up. Ask the locals where you should visit and plan your days accordingly. Also, day trips are a great way to take a break from the regular schedule and bond while you participate in a new adventure. If there’s a pool at your hotel or resort, spend time as a group relaxing and swimming. It’s an effortless way to come together for the day and hang out. You don’t need much else other than your bathing suit and a cooler. 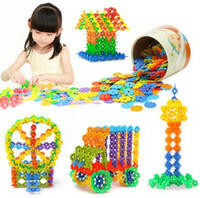 Bring toys for the kids and enjoy the happy expressions on their face as they play. There’s no better place to be when the weather’s nice and hot, and you have no other obligations. You shouldn’t have to dread family vacations. There’s plenty to do if you take your time brainstorming ideas. These are fun activities to improve your family vacation and ensure you enjoy each other’s company.